Porcelain veneers, also known as dental porcelain laminates, are custom-made for your teeth, from materials that possess the same basic color as teeth. They are very thin shells that can cover your front tooth surfaces to improve your appearance. The shells will be bonded to the tooth fronts, which will change the look of the tooth, for the better. 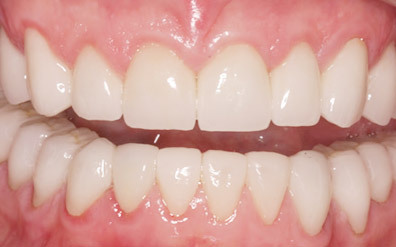 Porcelain veneers resist stains better and look more natural than do resin veneers. You may need a bit more of the original teeth removed if you have porcelain veneers placed on your teeth, since they require more room than resin veneers. Veneers can be used to fix discolored or stained teeth, broken or chipped teeth, uneven or misaligned teeth or worn down teeth. 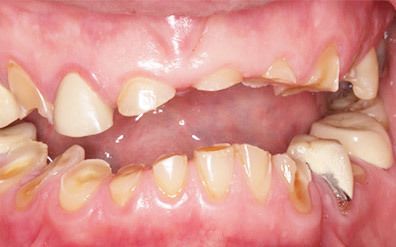 They are also used to close spaces between teeth, if you have gaps there.